History Faceoff: Who Was First in Flight? 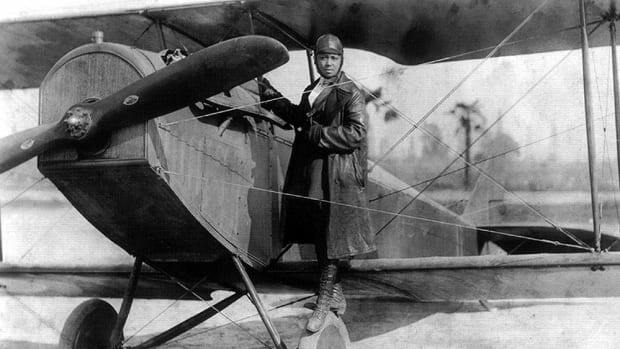 While the Wright Brothers are commonly thought to have been the first to fly an airplane, some believe the honor rightly belongs to two other pioneering aviators. Read about the case for each and decide for yourself. Tens of millions of people around the world received their first introduction to Alberto Santos-Dumont when they tuned into the Opening Ceremony of the 2016 Summer Olympics in Rio de Janeiro and watched as a nattily attired, mustachioed man impersonating the pioneering aviator took to the skies in a vintage biplane. The assertion by Olympic organizers that the Brazilian Santos-Dumont was the true inventor of the powered airplane may have surprised most viewers, but not those in the host country. While living in Paris in the 1890s, Santos-Dumont poured money from his family’s coffee-planting fortune into experimenting with lighter-than-air crafts such as hot air balloons and motor-powered dirigibles. According to “Wings of Madness: Alberto Santos-Dumont and the Invention of Flight” by Paul Hoffman, the high-flying bon vivant even had a personal airship that he would fly from his apartment near the Arc de Triomphe to his favorite restaurant and keep tethered to a lamp-post as he dined inside. After claiming an aviation prize in 1901 by piloting a dirigible around the Eiffel Tower, Santos-Dumont shifted his focus to heavier-than-air flight. While some remained skeptical of the reported achievements of the Wright Brothers, which were conducted in secrecy away from the public eye, the success of the flamboyant Santos-Dumont was plain for all to see on October 23, 1906, when his 14-bis biplane flew about 200 feet at a height of around 15 feet before a large Parisian crowd in the world’s first public powered flight. Less than three weeks later, the Brazilian set the first world record to be recognized by the Federation Aeronautique Internationale by flying 726 feet in his winged aircraft. 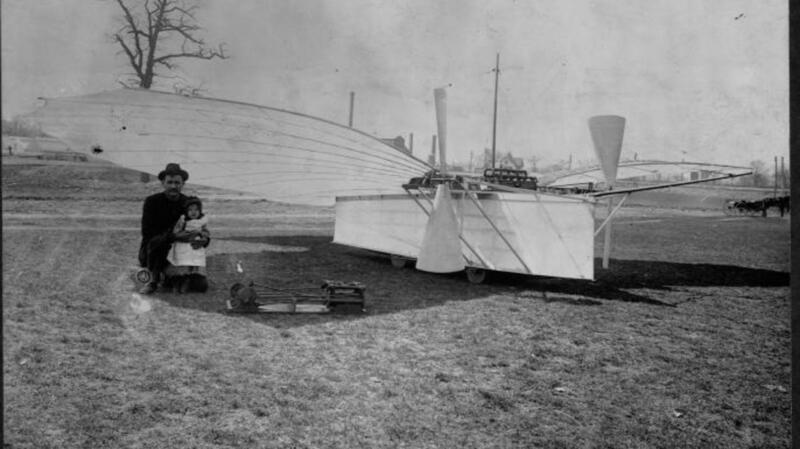 Backers of Santos-Dumont claim the 1906 public demonstrations were the first powered flights because his wheeled craft took off unassisted unlike the Wright Flyer, which was launched off a rail and aided by the strong winds at Kitty Hawk to lift it off the ground. Henrique Lins de Barros, a Brazilian physicist who has written two books on Santos-Dumont, told Reuters in 2003 that the Wright Brothers’ flight did not fulfill all the standards in place at the time, which including taking off unassisted, publicly flying a predetermined length in front of experts and landing safely. “If we understand what the criteria were at the end of the 19th century, the Wright Brothers simply do not fill any of the prerequisites,” he said. 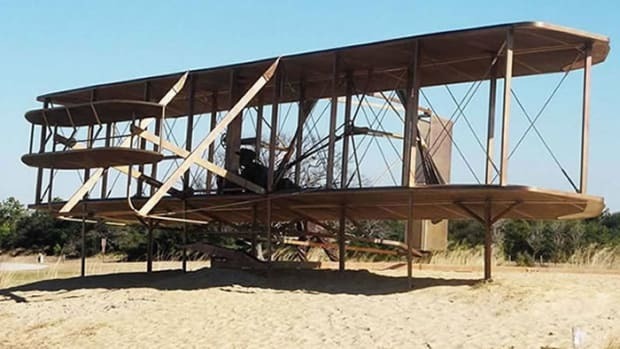 More than two years before the Wright Brothers glided over the dunes of Kitty Hawk, a night watchman at a local manufacturing plant reportedly soared over the industrial city of Bridgeport, Connecticut, in his handcrafted flying machine. A full-page article on page five of the August 18, 1901, edition of the Bridgeport Sunday Herald reported that four days earlier a German immigrant named Gustave Whitehead had flown a distance of one-and-a-half miles at a height of 150 feet over Bridgeport and the neighboring town of Fairfield. An accompanying hand-drawn illustration depicted Whitehead in his bat-like contraption, known as No. 21 or “Condor.” Whitehead later reported that he returned to the skies on January 17, 1902, and flew for seven miles over Long Island Sound. On the morning of December 17, 1903, Orville Wright took the controls of his heavier-than-air craft and signaled to his brother, Wilbur. 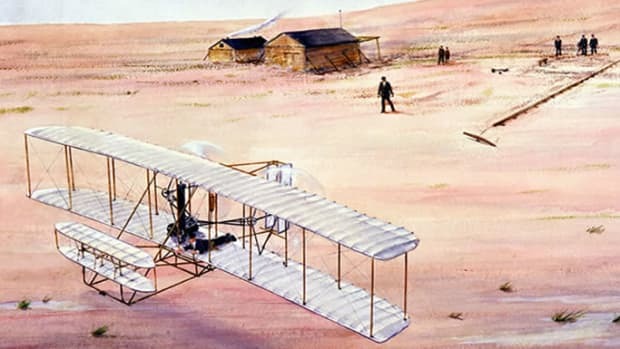 With Wilbur running alongside to balance the fragile machine, the Wright Flyer that Orville had built with his brother slid down the guiding rail and soared into the air over a distance of 120 feet. 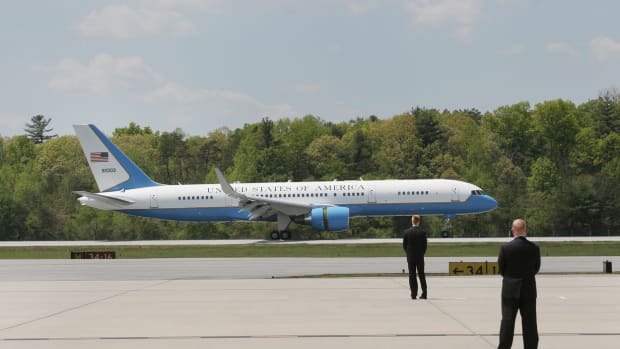 The two brothers from Dayton, Ohio, followed up the 12-second flight that day with three others over the dunes of North Carolina’s remote Outer Banks. A handful of witnesses were present for the first flight, and a photograph taken by an employee of the U.S. Life-Saving Service proved the Wright Flyer had taken to the air. 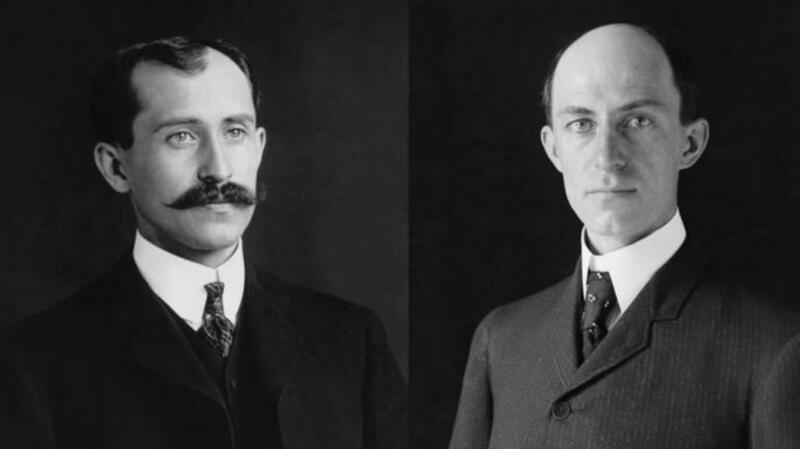 The Wright Brothers meticulously documented their experiments, although they maintained great secrecy while they pursued patents and contracts for their flying machine. 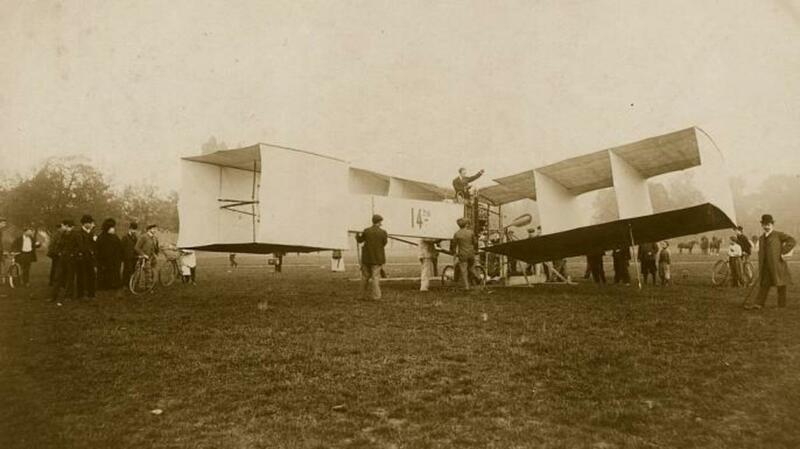 Unlike Santos-Dumont, the brothers kept a low profile and did not make a public flight until 1908, two years after the Brazilian aviator dazzled Paris. Most aviation historians believe the Wright Brothers met the criteria to be considered the inventors of the first successful airplane before Santos-Dumont because the Wright Flyer was heavier-than-air, manned and powered, able to take off and land under its own power and controllable along three axes in order to avoid crashes. Backers of the brothers also note that by 1905, a year before Santos-Dumont’s first powered flight in Europe, the Wright Brothers had been able to take flights that lasted as long as 40 minutes. Historian David McCullough, author of “The Wright Brothers,” swatted down the claim that Whitehead was first in flight in a 2015 interview with radio station WNPR. “There’s no evidence for it whatsoever,” he said. “Mr. Whitehead is never known to have flown anything and when he tried to demonstrate later on, it didn’t work at all in front of people. 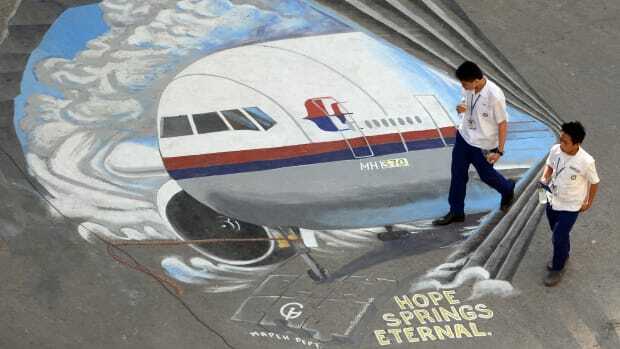 There’s something like 35 noted historians of aviation specialists who have signed statements that say it’s an interesting story but there’s nothing to support it.” Other Whitehead skeptics add that the original Bridgeport Sunday Herald story was likely an exaggeration and that the recently discovered photograph is too blurry to offer any conclusive proof that the German immigrant had ever been airborne. 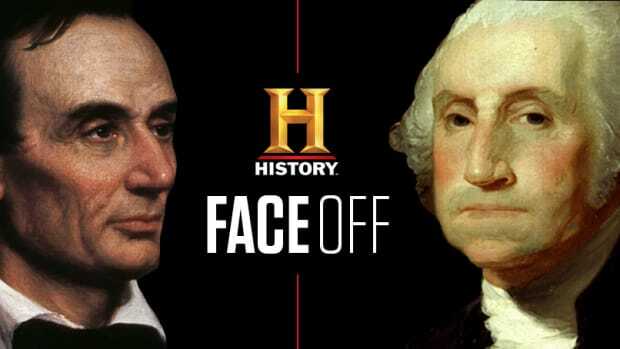 History Faceoff: Who Was the Greatest President—Washington or Lincoln?